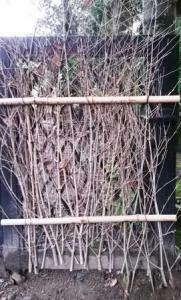 Bamboo poles are a very handy tool for practical folk needing a structure that is fast to erect. In Mumbai, India, street hawkers outside the railway station are using bamboo to circumvent restrictive by-laws. It is illegal for hawkers to sell their wares directly on the pavement as it hampers the flow of the 65,000 commuters that pass each day. Instead, bamboo structures are erected to get the wares off the pavement and facilitate a fast getaway, should one be needed. 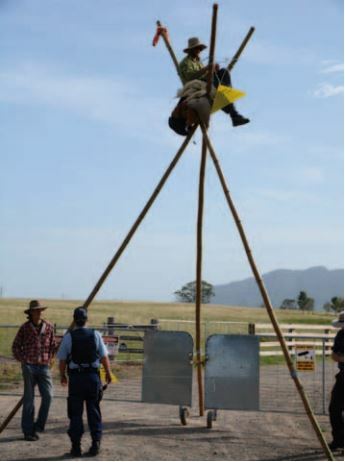 On the other side of the world, in Gloucester, NSW, Australia, bamboo tripods are used to created instant gate blockades. The beautiful and rich agricultural lands around Gloucester are under threat from a fracking project. 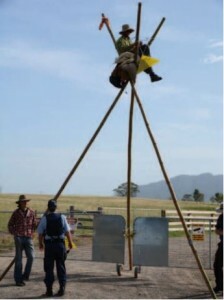 The tripods are fast to erect but difficult for police to remove once a protester is installed. More practical (?) uses for bamboo: Miranda Kerr has an exfoliating face scrub made with bamboo particles. And yes, you can get it on Amazon . 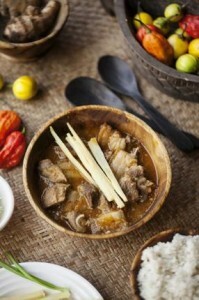 Recipe for Pork and Fresh Bamboo Shoots, from the Northeast of India. Simple and wholesome – if you like your chilli hot. The raja mirchi called for in this recipe is a hybrid chilli considered one of the worlds hottest. Also this month, and nothing to do with the internet, Life with Bamboo is on the move. I’m on the road, somewhere in Australia, in a small silver van. Bamboo farms may be visited. Bamboo events shall be attended. The next event is a Freemite Bamboo Treatment Workshop on 17 January 2014 near Byron Bay. Details and the registration form are here. This entry was posted in All, Bamboo around the world, Bamboo craft and tools, Bamboo on the Internet, Food, Home and Health and tagged bamboo, food, India on 07/01/2015 by Deb. INBAR recently released another report about bamboo and climate change. 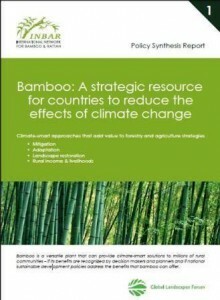 The report promotes the potential of bamboo as a core resource to mitigate the effects of climate change. Drawing on a range of INBAR projects and initiatives, the report suggests three main ways bamboo can mitigate climate change: bamboo as a carbon sink; durable bamboo products; and, bamboo-based biofuel and bioenergy. The report is rather broad-based and its purpose as a policy document precludes any in-depth analysis. No mention is made of bamboo phytoliths and their role in climate change mitigation. As you will recall from a previous post, phytoliths, or plant opal, are microscopic siliceous bodies which occur in living plants. Work is currently underway in Australia and China to investigate opportunities to sequester carbon using phytolith-occluded carbon. Carbon dating has established that plant opals and the carbon stored within them, are highly resistant to decomposition and will stay in the soil for thousands of year, remaining stable even after volcanic explosions, forest fires and earthquakes. 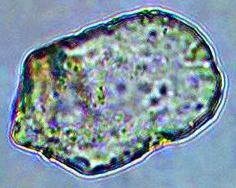 Not all phytoliths have the capacity to store significant amounts of carbon though. A current project at Southern Cross University is investigating the range of agricultural and grass crops, including bamboo, that do have the capacity. The potential exists for reducing carbon emissions in the order of 1.5 billion tonnes a year simply by having farmers choose high-plant opal carbon yielding cultivars of crops they already grow. The same holds true for bamboo. Careful selection of bamboo species can dramatically increase the sequestration of carbon within the phytoliths. 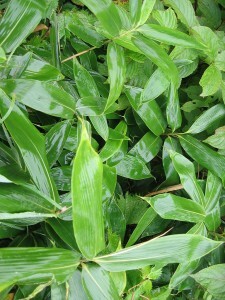 Recent research in China looked into the phytolith content of the leaves of 75 species of bamboo. Sasa came out on top. But Sasa is not a major commercial species on the scale of say, Moso. Another 2014 Chinese study looked at the potential for carbon sequestration in Moso forests. The study found that the carbon content of phytoliths is dependent upon the parent material underlying the soil in which the bamboo grows. It’s astounding and timely research work. Solutions for climate change mitigation are right under our noses. Of course, here in Australia we have a government that insists that climate change is not real, so we don’t need to worry. This entry was posted in All, Bamboo around the world, Bamboo on the Internet and tagged bamboo, carbon, climate change mitigation on 14/12/2014 by Deb. 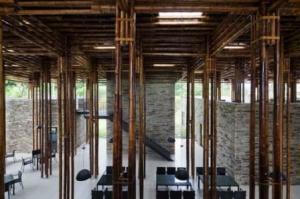 Like Japan, bamboo in South Korea is firmly embedded in the local material culture. 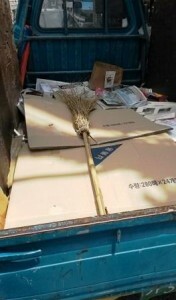 In this post I’m sharing a few everyday bamboo things I came across while wandering around southern parts of South Korea earlier this year. Lightweight white cotton gloves have a thousand and one uses. 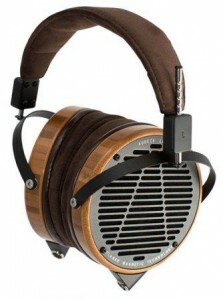 These ones are bamboo though. They are intimidatingly pristine fresh out of the packet. Just the thing for protecting your hands against blisters from bamboo brooms. South Korea is an especially great place for eating, (although maybe a little challenging for vegetarians). Snack foods abound. 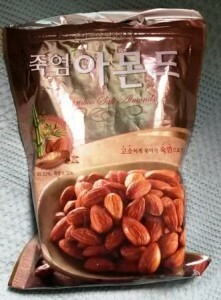 I found these roasted almonds with bamboo salt in the local supermarket. Very tasty. 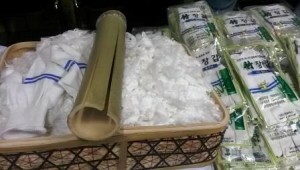 The same supermarket sold bamboo salt toothpaste . Damyang is rightly famous for dining out, and is famed throughout South Korea for it bamboo dishes. 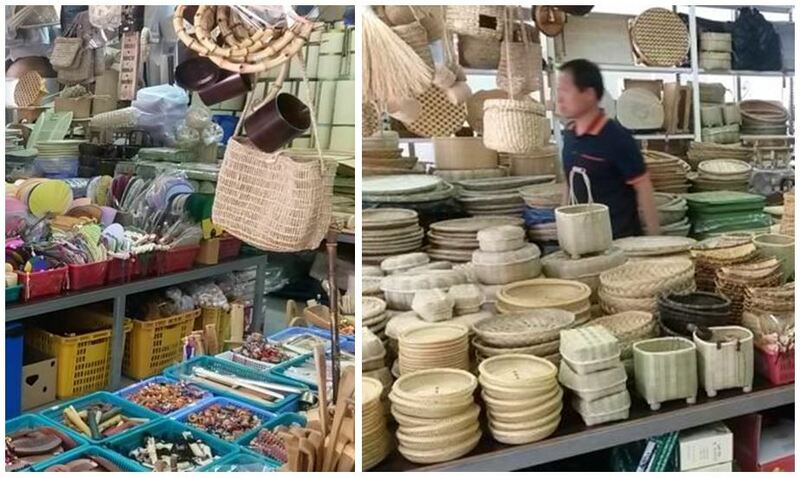 As a major bamboo centre, Damyang also has plenty of shops specialising in just bamboo products. They smell fantastic. The 4 hour bus trip from Busan to Gwangu, (to get to Damyang), is broken up with a stop at a standard highway roadhouse. There is lots of food, bathroom facilities, clothing stores and stalls selling useful things. 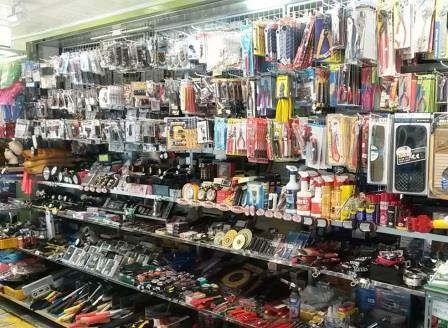 One stall was like a mini hardware (my kinda shop). Amongst its impressive selection, it sold everything you’d need to harvest bamboo: like bamboo saws, bamboo knives, splitter, gloves… Just in case you’ve come out without yours. Do you have a favourite everyday bamboo story? This entry was posted in All, Bamboo around the world, Bamboo craft and tools and tagged bamboo, bamboo salt, Damyang, food, Korea on 08/12/2014 by Deb. …like bamboo wind turbines. 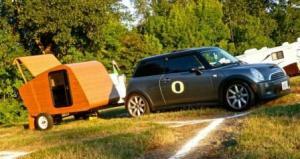 With developing nations in mind, engineers at the University of Vermont have designed a micro energy harvesting system. Incorporating a deep-cycle battery, the mini wind turbines can generate enough power to run LED lights and charge small devices like mobile phones. 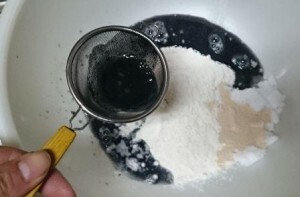 In case you were wondering how to make the Japanese black burgers that were seen all over social media recently, here is a pictorial guide. Amazon have some powdered bamboo charcoal if you don’t want to crush your own. Bear Creek Swamp is a massive bog with a bit of a reputation locally. As a rite of passage, generations of teenagers have entered the area at night looking for creatures and haints said to roam the mist-covered realm. And it’s not unusual to hear reports of loud booms coming from its depths. Big news for bamboo growers in the state of Maharashtra, north-eastern India. A new policy was approved that removes the forest department restrictions on cutting and transport of specified bamboo species from private plantations. The implications are huge for employment potential. More here. 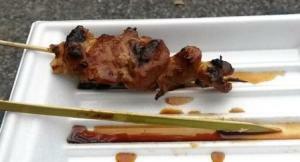 This entry was posted in All, Bamboo around the world, Bamboo on the Internet and tagged bamboo, bamboo charcoal, food, India on 01/12/2014 by Deb. Going about in Taiwan, like other countries with an abundance of bamboo, it is inspiring to be amongst bamboo creations from the mundane to the extraordinary. 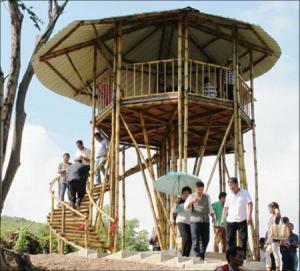 This post is about a once-ordinary, now less common bamboo construction being used to promote autonomous rule for the Amis village of Farangaw, Taitung County. 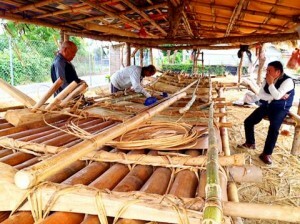 In the south of Taiwan, a bamboo boat is under construction employing techniques unused since the Japanese occupation 100 years ago. The traditional techniques are recalled only in oral history by five Amis elders in their 70s and 80s. The maiden voyage of the bamboo vessel will be an inspection to lay claim to the village’s traditional maritime territories, as well as rally support more generally for Aboriginal autonomy in Taiwan. The Amis are the largest ethnic group among Aboriginal Taiwanese. Traditionally, Amis villages are in close proximity to the sea. 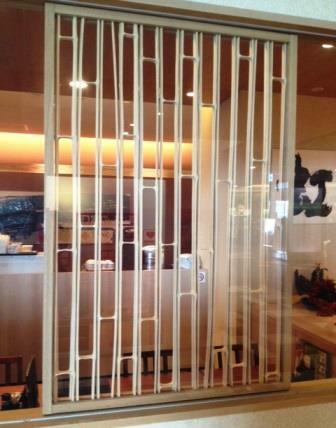 As well close ties to the ocean, bamboo features in Amis material and spiritual culture. One Amis spiritual practice is performed by bamboo divinators. The cikawasay (like priests) predict fortunes by standing on the middle of a slim bamboo branch and lifting both ends of it. The fortune is foretold according to the shape of the cracking gap in the bamboo. 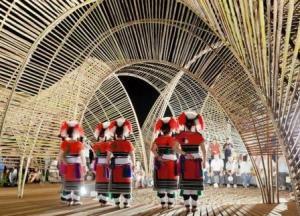 Considered experts in bamboo construction, local Amis built this pavilion used for an arts festival. There is something of a resurgence in traditions and cultural identity for Taiwan’s Aboriginal population, though perhaps not bamboo divination. An increasing number of Amis are replacing their Chinese names with Amis names. Aboriginal political and social movements are swelling. Drafts of legislation for Aboriginal autonomy, already drawn out for years, are always strongly criticised by Aboriginal activist groups and academics. But what a behemoth they face in China. 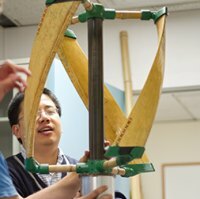 In the course of researching this post I came across a boat in Taiwan based on the traditional design of a bamboo raft such as the one pictured above. 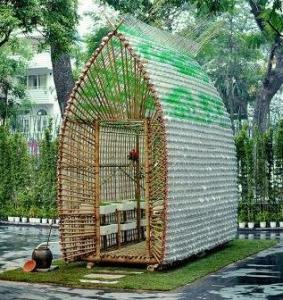 Instead of using bamboo, huge PVC pipes were incorporated into the design. 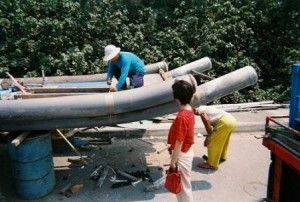 The pipes were bent the same way as bamboo – with heat. The vessels take only about six days to build. The story and more images here. Perhaps the Farangaw villagers should have considered PVC instead of bamboo: some were accused by local authorities of stealing bamboo to make the raft. Yu, J. (2013). 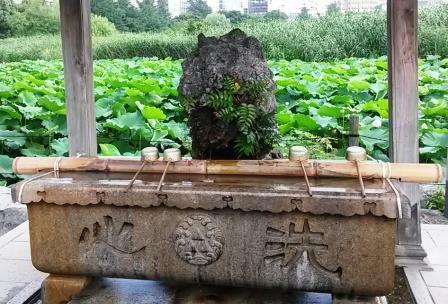 Betel Nut, Magic and Baseball: A Case Study of Puyuma Tribe in Taiwan. Folklore: Electronic Journal of Folklore, (54), 51-72. This entry was posted in All, Bamboo around the world, Bamboo craft and tools, Building and Home Renovation and tagged architecture, bamboo, boats, China, democracy, Taiwan on 23/11/2014 by Deb. Bamboo is an integral part of material culture in Japan. Nearly everywhere you go in Japan you see examples of bamboo uses in the landscape, architecture, art, craft, kitchens, bathrooms, gardens… By turns beautiful, intricate, functional, and sometimes, just simplicity itself. This week I’m sharing a few examples of ultra-simple bamboo solutions for take away food, barriers, fencing, ritual cleansing, dividers, gates, borders … let’s start with toys. 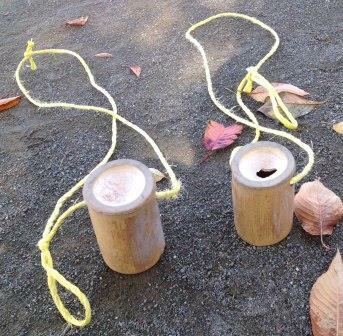 Surely, this must be as simple as it gets to keep kids amused using bamboo. 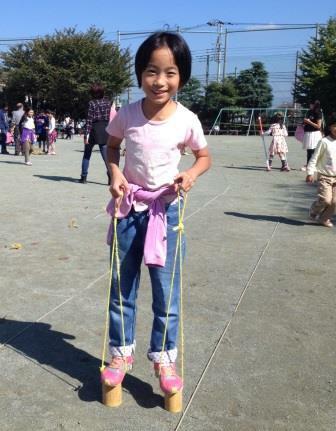 (Compare the bamboo toys on Amazon! ) 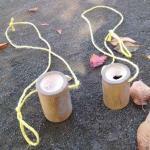 These were made at a school in Hachioji. The girl certainly looks very pleased with them. (Thanks, Chris). On a complexity scale, next may be the taketombo. Here’s a YouTube demo. Learn to make one here. 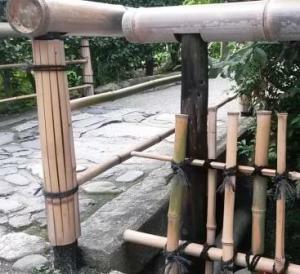 Near the entrance to temples in Japan, temizuya, or chōzubachi, often use bamboo as a means of keeping the water scoops in easy reach. This one is in Ueno Park, Tokyo. At a Sunday flea market in Kyoto these bamboo skewers solve that pesky issue of the meat sliding around on a round skewer. 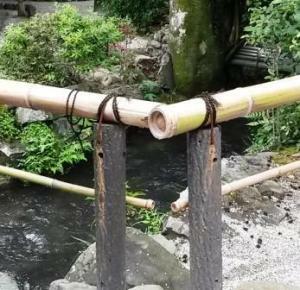 This ultra-simple barrier keeps the larger stones where they belong in the sublime gardens of Ōkōchi Sansō in Arashiyama. Fencing in Japan can be elaborate. It can also be minimal and uncomplicated. These fences act primary as barriers in temples in Kyoto and Arashiyama. 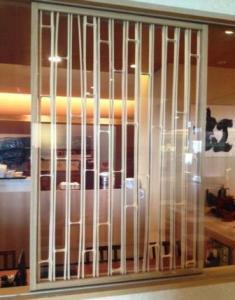 Cross sections of large bamboo culms make an eye-catching wall divider in a Tokyo restaurant. (Thanks again, Chris). A few bamboo branches sandwiched and lashed with a couple of small bamboo poles vastly improves this otherwise ordinary gate in a temple in Kyoto. This entry was posted in All, Bamboo around the world, Bamboo craft and tools, Bamboo in the garden, Food, Home and Health and tagged bamboo, bamboo fences, bamboo gates, interior decorating, Japan, toys on 09/11/2014 by Deb.